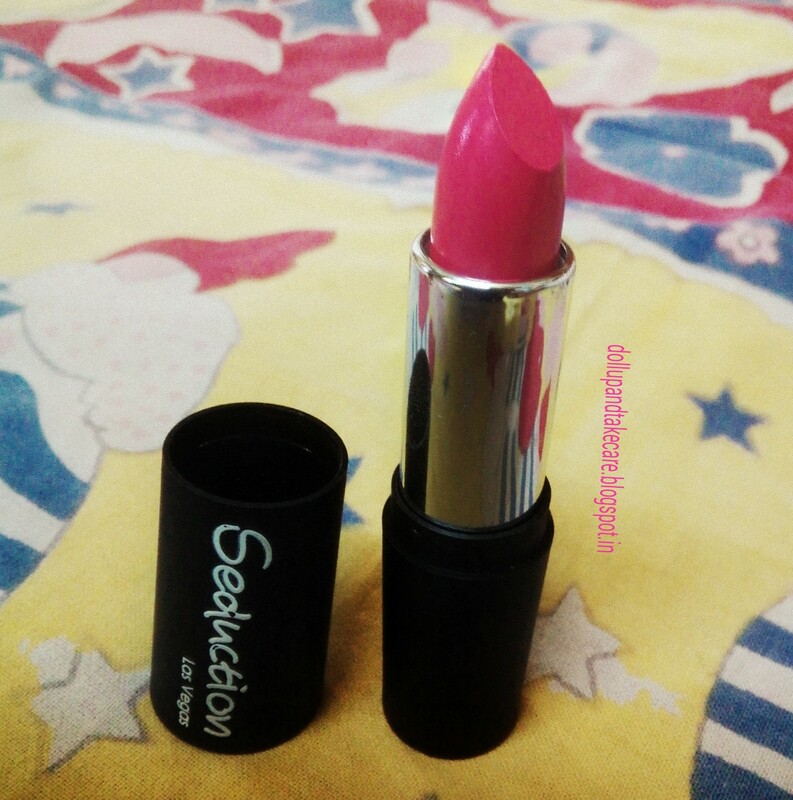 "SEDUCTION LAS VEGAS COSMETICS ".Seduction Las Vegas " by Monisha Gidwani is an international premium brand established in 2014. 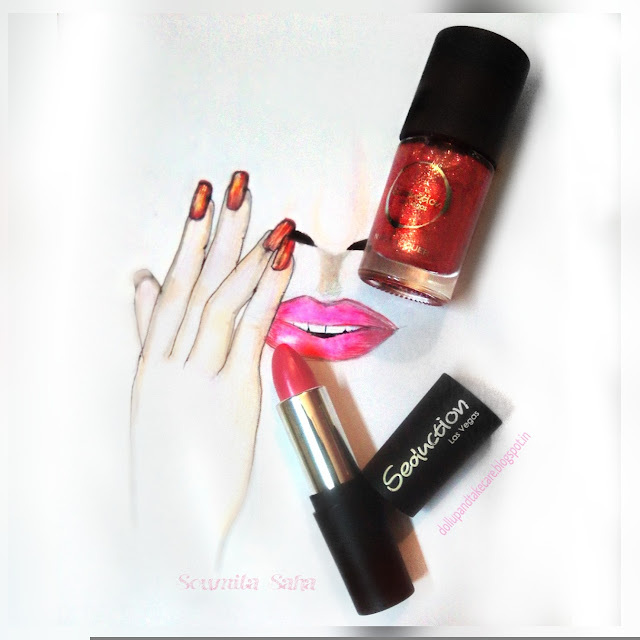 DollUp And Take Care received a beautiful nail paint and a fabulous Lipstick for review. 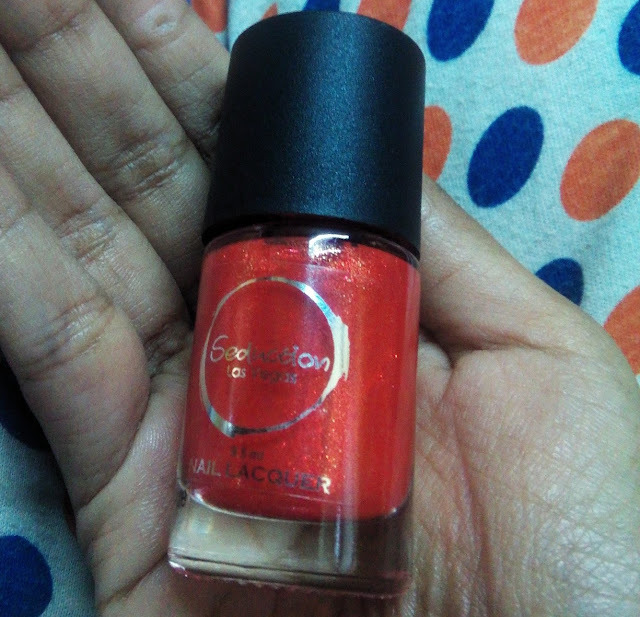 The Nail Paint : Seduction Nail Paint we recieved is a nail paint of great quality. 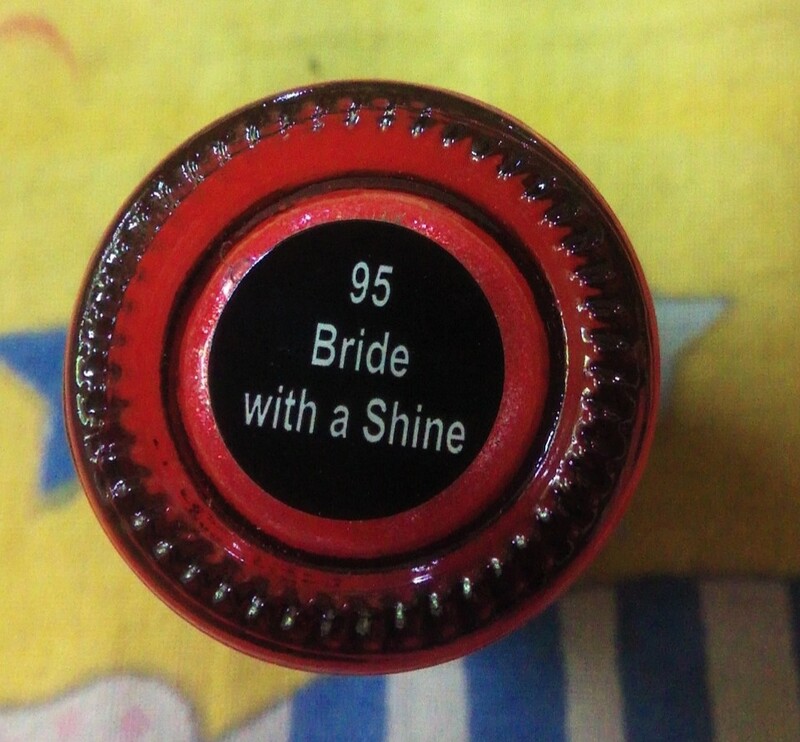 Shade Name is Bride With a Shine shade no:95 .It is a glossy orange with crimson tint .This glossy shade is adorned with some added sheen that makes this a perfect festive wear for any indian festival.If you are looking for a perfect shade you wanna try for this raksha bandhan or ganesh chaturthi ,do give it a try. It is provided with good quality applicator brush .The formula is impressive because 2 coats gives you complete finish . Seduction lipstick is decently priced Rs .180/- The shade we received is named "Glossy Pink" shade no:1 . The texture is very smooth and soft. 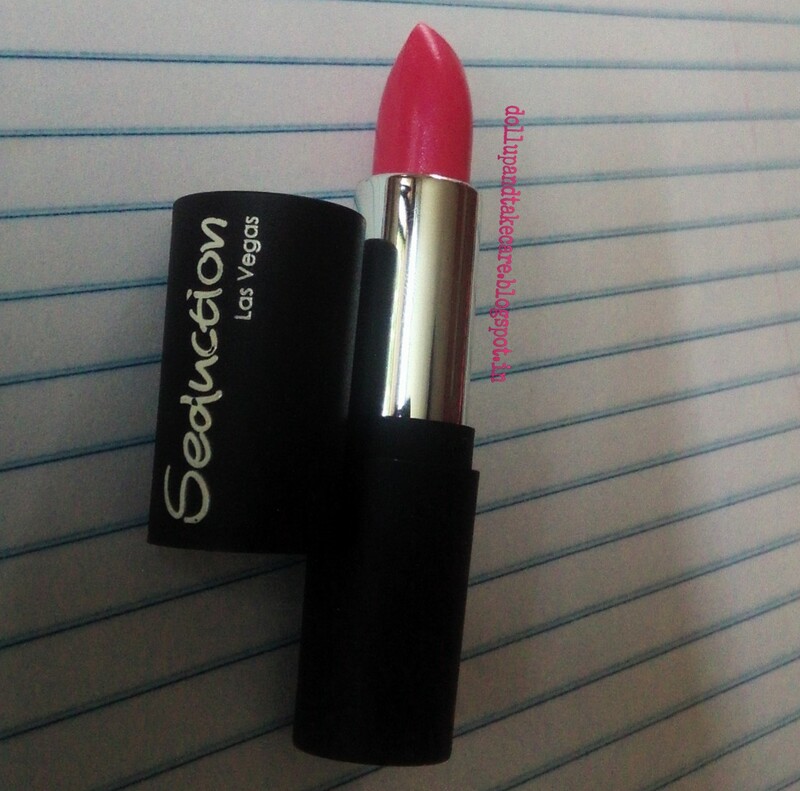 It is unique because it is highly moisturizing and gives a semi-matte finish at the same time.This combination is a rare quality. 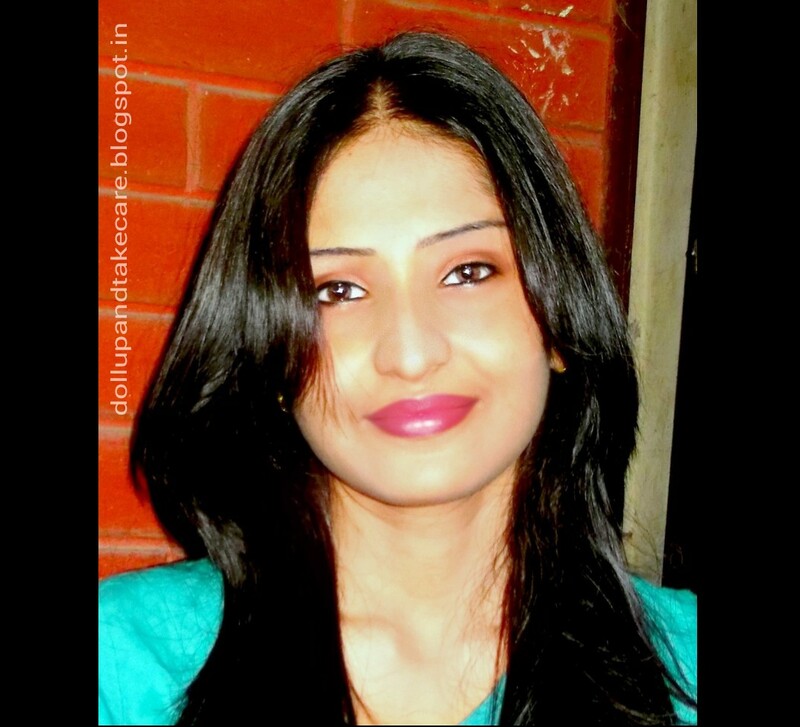 Honestly the pigmentation it provide is woth falling in love. 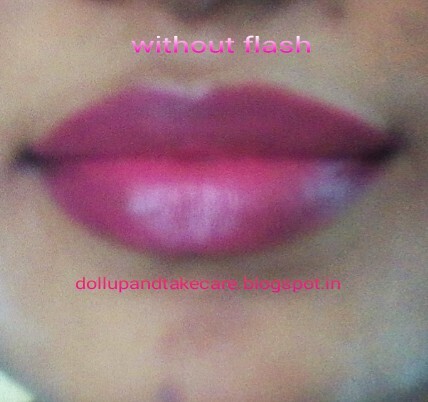 1 swipes gives you perfect finish.The colur i must say is fabulous it is neither a magenta pink nor fuschia .It is beautiful colour that is light strawberry colour mixed with pink. 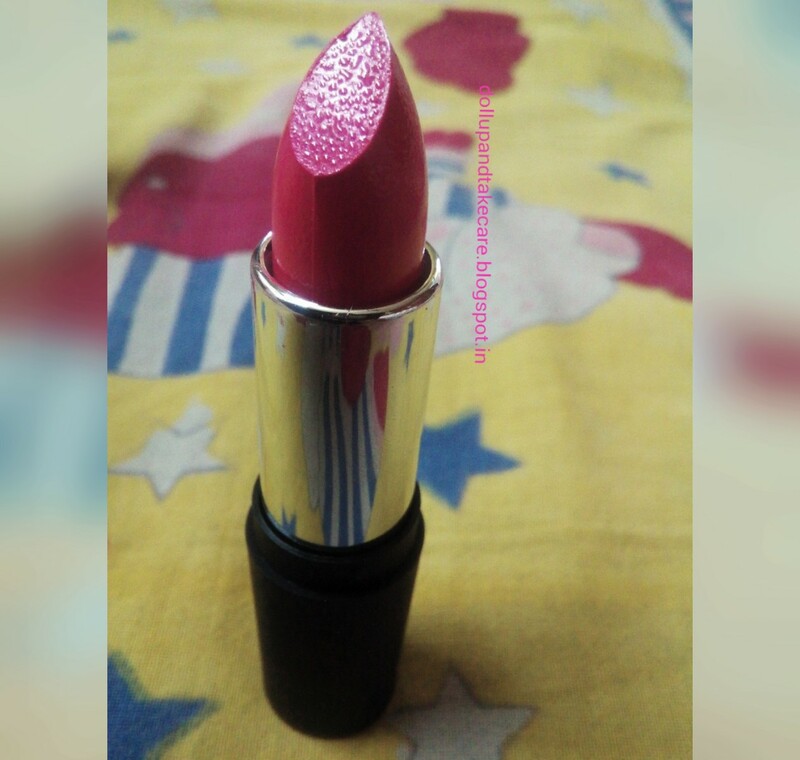 It can be a perfect day wear coz it is not too loud.If you are not a loud makeup person you can use it for night outings like shopping or visiting a place e.t.c . 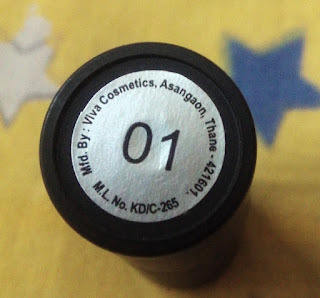 I have personally tried this amazing lippie for shopping and brunch hangout trust me! it lasted for more than 6 long hour s suriving a meal.It does leave a pretty tint when it fades. Price: Rs.180/- which is unbelievable. I have Kept my make minimal here ,this lipstick indeed adds charm to every face.Even my tired face is looking a bit presentable because of this Lipstick . 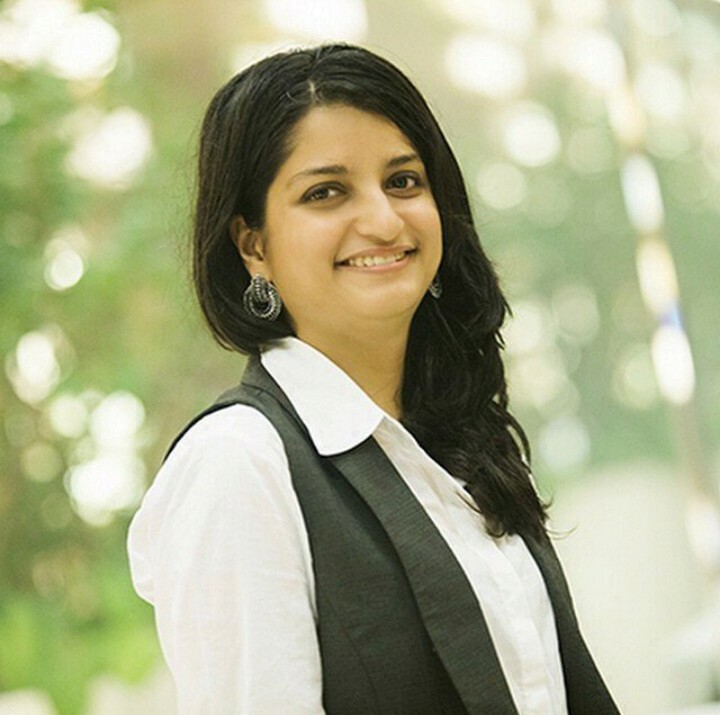 They also come up which kajals . Do i recommend this brand ? Yes Obviously where else will you get awesome products that also so amazingly priced.